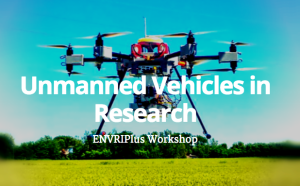 Unmanned vehicles (UVs) are becoming ubiquitous across all the scientific domains: aerial drones are being deployed in precision agriculture as well as being used as spatialized air samplers; unmanned gliders and submersibles are exploring the surface and the depth of seas and rovers are employed for receiving spatialized information on ground properties. 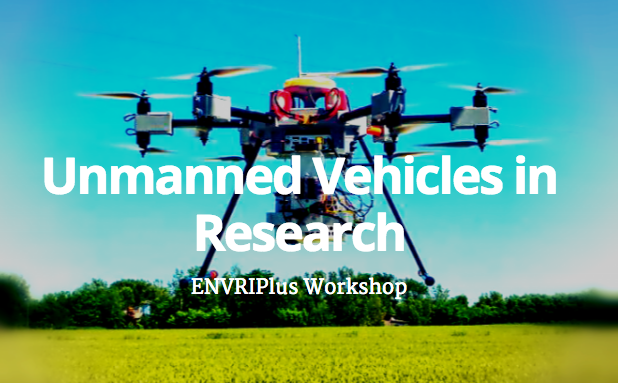 The workshop aim to tackles the usage of UVs in all of these fields from flying hexacopters, to marine gliders. These tools are especially important for retrieving information from remote areas or in situations where the presence of a manned system can pose some risks or hazard (i.e. : sampling airborne plumes with a high concentration of toxic pollutants or explore areas affected by extremes in temperature or other environmental parameters like the polar regions). Standardization: with many different platforms and sensors, there is also a wide array of data format output, calibration procedures and uplink/downlink protocols. This makes hard to build databases or to share data within the scientific community as well as reducing the possibility to have a reliable quality check on the data themselves. Sensor Web Enablement (SWE) is a way to reach such standards across all domains. Regulations: with drones effectively invading spaces shared by other peoples and vehicles, there is an ever-increasing pressure for adopting regulation warranting the safety of bystanders as well as regular operations of other vehicles. In the world of the unmanned aerial vehicles, for example, there is a need to obtain a certification to be able to build, pilot and operate a drone and there are airspace limitations to follow. A similar set of guidelines for marine gliders has been collected by the GROOM project and national coordinations of glider fleets. Access to Platforms: in Europe it coexist both a network of interconnected RIs with different access to both the unmanned platforms themselves and to the capability of operating them (due to lack of certified pilots, for example). It is, therefore, a priority to be able to establish a sharing platform for transnational access like it happened in the past, for example, for manned aerial vehicles with the EUFAR facility or with the European Gliding Observatories (EGO) and schools. These three topics detailed here affect the whole UVs community operating in the air, sea and on the ground with rovers, therefore, users from all the domains are welcome to contribute to such panels. The access to platforms, in fact, becomes extremely important in this context: some RIs may have expertise on a certain domain, but lack access to another, hindering the possibility of joint campaigns. That’s why cross-domain actions are required to achieve an holistic and integrated scientific framework encompassing the development and employment of unmanned vehicles as technical tools. The workshop is not limited to RIs, though: companies that work on drone manufacturing and development will have a dedicated exhibition space allowing on one side to get in contact with high-profile European customers and on the other side to create a communication channel between the needs of the research world and the industrial one. The Workshop is organized under Theme 1, Task 1.3: New common observation platform prototyping: the case of drones. 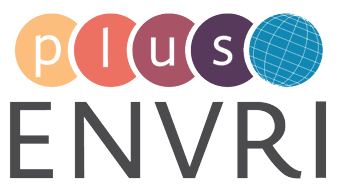 The task will elaborate a best practice report for design, integration, and tests of UVs across RIs. A report on potential future application of UVs will be issued. For more information do not hesitate to look at the Workshop website ( the details are listed under the menu) and/or to contact us!